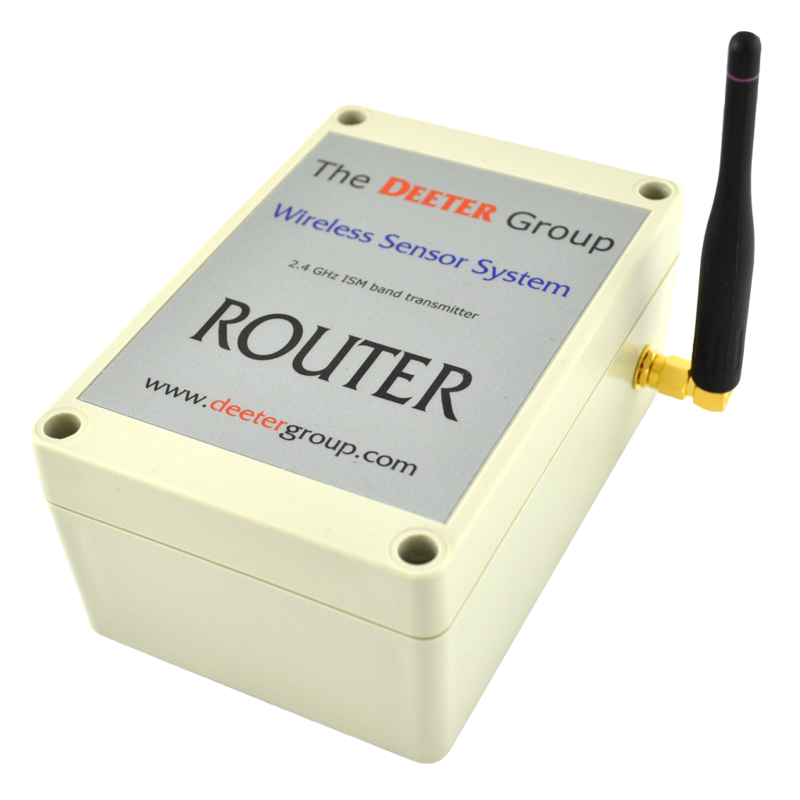 deeternet® Wireless Sensor System Sender - Deeter Electronics Ltd. deeternet® Wireless Sensor System Sender - Deeter Electronics Ltd. 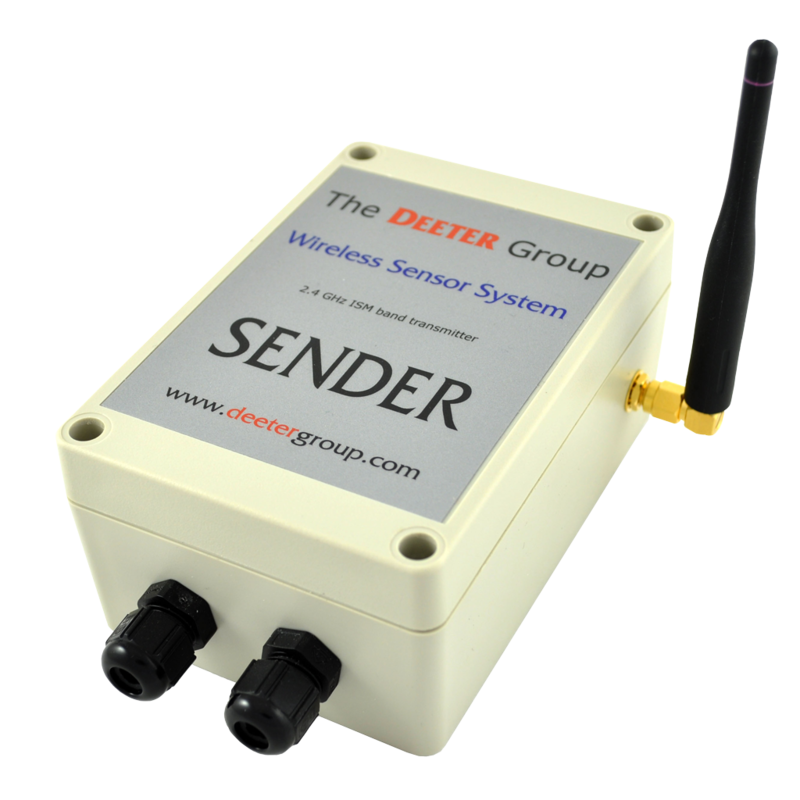 The Wireless Sender forms part of a Deeter Wireless Sensing System. 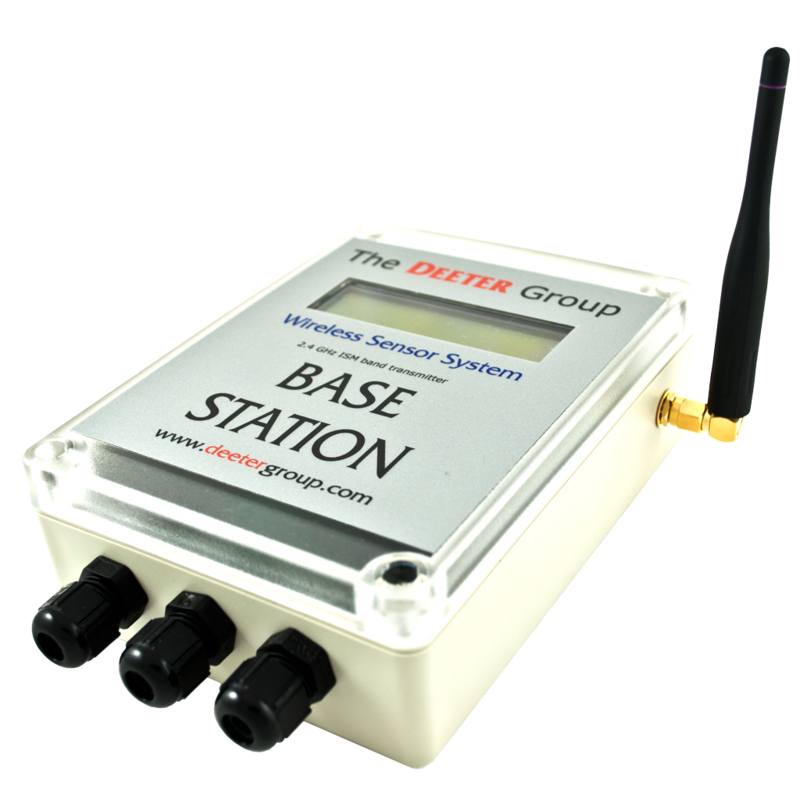 It is always used with a Deeter Base Station, which acts as a coordinator for an IEEE 802.15.4 wireless network. Four discrete inputs from external switches, such as Deeter level sensor float switches or other voltage free contacts. One analogue resistive input, such as a Deeter Resistive LVCS. One 4 – 20mA current loop analogue input. Wireless communication uses the internationally recognised IEEE 802.15.4 protocol in the 2.4GHz ISM radio band. Range can be up to 4km under ideal conditions. 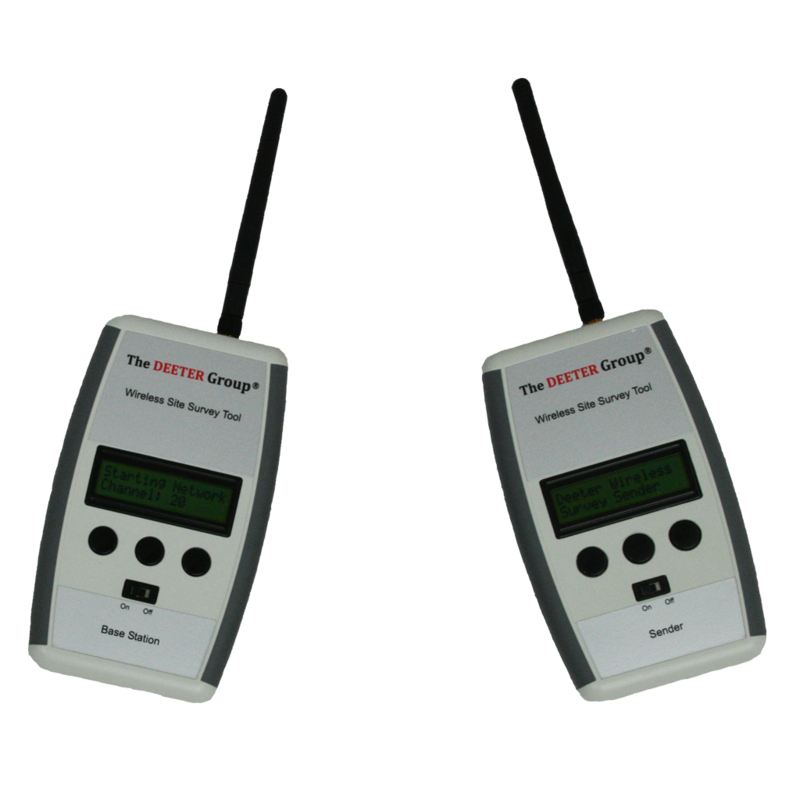 Significantly greater distances can be attained with the use of a Deeter Wireless Router. The Sender is housed in an ABS enclosure with an external antenna and cable glands for power and signal inputs. An optional 3m extension lead and bracket are available for mounting the antenna in a position more favourable to wireless communication. The unit can be powered internally by a 3.6V Lithium Thionyl Chloride battery or externally by a 5VDC mains powered wall adaptor. The battery acts as a back-up when the external supply is interrupted. If a 4-20mA current loop input is being monitored, a small amount of power is derived from this input to help extend battery life. Battery life for a battery-only powered Sender is greater than one year (based on a transmission interval of 10 seconds) transmission rates of 1 – 60 seconds are user configurable. 1) This is an optional feature.